World famous tattoo artist, Don Ed Hardy is considered by many to be the Godfather of Tattoo. His tattoos and artwork are recognized worldwide. A chance meeting between fashion icon Christian Audigier and Don Ed Hardy developed into an apparel brand that started the tattoo fashion phenomenon. Inspired by a lifetime of artistry, the brand and its likeness rose to exceptional popularity in record time. The appeal of Ed Hardy is timeless and continues to evolve as a lifestyle fashion brand that celebrates classic American tattoo art. Ed Hardy offers colorful, trendsetting designer t-shirts, designer hoodies, rhinestone tees, and the latest fashions for men, women and kids. Ed Hardy has the most updated figure flattering women’s fashions, and new, colorful men’s clothes with a wide selection of beautiful women’s sweaters, fashionable designer hoodies, rhinestone tee shirts, designer tees, and so much more. 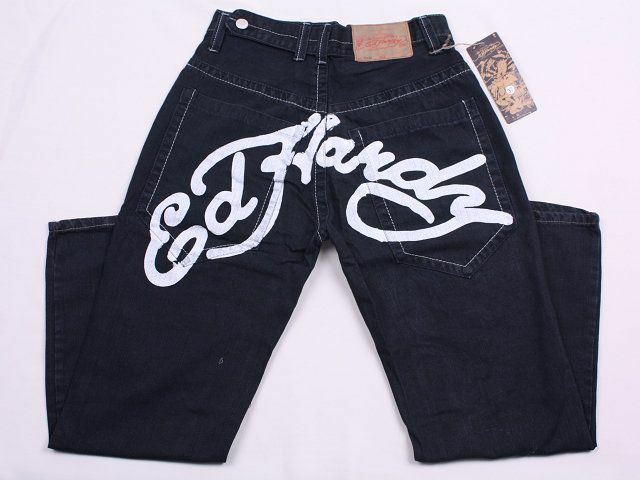 Ed Hardy tattoo clothes come in a variety of designs and styles with fashions for everyone. There are great Ed Hardy kids clothes, as well. The kids tattoo clothes offer sizes ranging from baby to boys and girls up to size 16, with designer tees, rhinestone t-shirts, designer hoodies, jeans, dresses and even fashionable school supplies.